Preventing burnout has to be a priority. Unfortunately, it is beyond the ability of the individual to change the environment to reduce stress and prevent burnout, so it is important that methods be found to reduce the individual’s responses to stress; to make the individual more resilient when high levels of stress occur. Contemplative practices have been shown to reduce the psychological and physiological responses to stress. Indeed, mindfulness has been shown to be helpful in treating and preventing burnout, increasing resilience, and improving sleep. Mindfulness is also known to improve self-compassion, understanding one’s own suffering. It is possible that this may be a key to understanding mindfulness’ effects on burnout. In today’s Research News article “Mindful Self-Compassion Training Reduces Stress and Burnout Symptoms Among Practicing Psychologists: A Randomized Controlled Trial of a Brief Web-Based Intervention.” (See summary below or view the full text of the study at: https://www.frontiersin.org/articles/10.3389/fpsyg.2018.02340/full?utm_source=F-AAE&utm_medium=EMLF&utm_campaign=MRK_847629_69_Psycho_20181211_arts_A ), Eriksson and colleagues recruited practicing psychologists and randomly assigned them a wait list control condition or to receive mindful self-compassion training online for 6 weeks of 15 minute per day for 6 days per week. The program consisted of mindfulness exercises and compassion-focused exercises with 6 components, “(1) Kind attention, (2) Kind awareness, (3) Loving kindness with oneself and others, (4) Self-compassion—part 1, (5) Self-compassion—part 2, (6) Compassion with others and Quiet Practice.” The participants were measured before and after training for mindfulness, self-compassion, perceived stress, and burnout. They found that compared to baseline and the wait-list control group, the group receiving mindful self-compassion training had significantly higher mindfulness and self-compassion and significantly lower self-coldness, perceived stress and burnout symptoms including fatigue, weariness, tension, and listlessness. They also found that the greater the change in self-compassion the greater the reduction in perceived stress and burnout. This suggests that improvements in self-compassion are an important consequence of mindfulness training in reducing burnout. The fact that the program was delivered online and only involved 15 minutes per day is important for the engagement of busy professionals. This resulted in about 4 out of 5 psychologists successfully completing the program. Importantly, the observed sizes of the effects of the training were comparable to those seen in studies employing face-to-face training. Hence, offering the program online appeared to have the major advantages of convenience and wide availability without reducing effectiveness. These results suggest that mindful self-compassion training delivered online is effective in reducing the symptoms of burnout in practicing psychologists. This should not only relieve the suffering of the psychologists but also make them more effective in relieving the suffering of their clients. So, relieve burnout in practicing psychologists with mindful self-compassion training. Psychological distress is related to an increase in physiological stress responses. That is, when the individual is anxious, ruminating, or having negative emotions, the physiology including the hormonal system reacts. The increased activity can be measured in heightened stress hormones in the blood and increased heart rate, blood pressure etc. These physiological stress responses on the short-term are adaptive and help to fight off infection, toxins, injury, etc. Unfortunately, psychological distress is often persistent and chronic and resulting in chronic stress which in turn can produce disease. Many of the symptoms of psychological distress have been shown to be related to a lack of mindfulness. Anxiety is often rooted in a persistent dread of future negative events while rumination is rooted in the past, with persistent replaying of negative past events. Since mindfulness is firmly rooted in the present it is antagonistic toward anything rooted in the past or future. Hence, high levels of mindfulness cannot coexist with anxiety and rumination. In addition, high mindfulness has been shown to be related to high levels of emotion regulation and positive emotions. So, mindfulness would appear to be an antidote to psychological distress. In today’s Research News article “Dimensions of distress tolerance and the moderating effects on mindfulness-based stress reduction.” (See summary below or view the full text of the study at: https://www.ncbi.nlm.nih.gov/pmc/articles/PMC6130202/ ), Gawrysiak and colleagues recruited participants in an 8-week Mindfulness-Based Stress Reduction (MBSR) program. The program was specifically developed to improve coping with stress and consisted of weekly 2.5-hour group training sessions with home practice and included meditation, body scan, yoga practices, and discussion. They were measured before and after training for distress tolerance, perceived stress, and positive and negative emotions. They found that following the MBSR program the participants demonstrated significant increases in distress tolerance and vigor and decreases in perceived stress, anger, confusion, depression, fatigue, and tension. In addition, they found that participants who were low in distress tolerance had the greatest decreases in perceived stress after the program while those high in distress tolerance had the least change. Hence, they found that the MBSR program improved the psychological state in the participants. This is in line with previous research that demonstrated that mindfulness training improves psychological and physiological responses to stress and improves emotions. What this study contributes is the understanding that MBSR improves that participants ability to cope with psychological distress. Importantly, they also found that the participants who benefited the most were the ones who had the least ability to cope with distress to begin with. This suggests that one of the reasons that MBSR training is beneficial is that it improves the individuals ability to deal effectively with tough emotions and situations which, in turn, improves the individuals ability to deal effectively with stress. This, then, improves their emotional state. So, improve tolerance of distress and psychological state with mindfulness. This study examined the relationship between distress tolerance and psychosocial changes among individuals participating in Mindfulness-Based Stress Reduction (MBSR). The objective of the analysis was to discern whether individuals with lower distress tolerance measured before MBSR showed larger reductions in perceived stress following MBSR. Data were collected from a sample of convenience (n = 372) using a quasi-experimental design. Participants completed self-report measures immediately prior to course enrollment and following course completion. Perceived stress, distress tolerance, and mood states showed favorable changes from pre- to post-MBSR in the current study. Baseline distress tolerance significantly moderated reductions on perceived stress, supporting the primary hypothesis that individuals with lower baseline distress tolerance evidenced a greater decline in perceived stress following MBSR. For a one-unit increase on the self-reported baseline Distress Tolerance Scale, reported perceived stress scores decreased by 2.5 units (p < .0001). The finding that individuals with lower baseline distress tolerance evidenced a greater decline in perceived stress may offer hints about who is most likely to benefit from MBSR and other mindfulness-based treatments. Identifying moderators of treatment outcomes may yield important benefits in matching individuals to treatments that are most likely to work for them. In the modern world education is a key for success. Where a high school education was sufficient in previous generations, a college degree is now required to succeed in the new knowledge-based economies. There is a lot of pressure on students to excel so that they can be admitted to the best universities and there is a lot of pressure on university students to excel so that they can get the best jobs after graduation. As a result, parents and students are constantly looking for ways to improve student performance in school. The primary tactic has been to pressure the student and clear away routine tasks and chores so that the student can focus on their studies. But, this might in fact be counterproductive as the increased pressure can actually lead to stress and anxiety which can impede performance. A better tactic may be the development of mindfulness skills with contemplative practices. 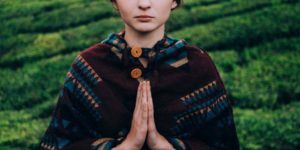 These practices and high levels of mindfulness have been shown to be helpful in coping with the school environment and for the performance of both students and teachers. So, perhaps, mindfulness training may provide the needed edge in college academic performance. 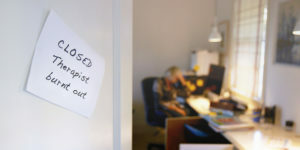 The vast majority of the mindfulness training techniques, however, require a certified trained therapist. This produces costs that many students and counseling centers can’t afford. 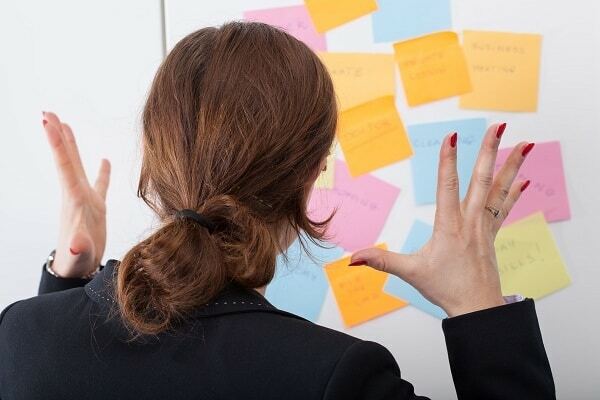 In addition, the participants must be available to attend multiple sessions at particular scheduled times that may or may not be compatible with their busy schedules and at locations that may not be convenient. As an alternative, Smartphone Apps have been developed. These have tremendous advantages in decreasing costs, making training schedules much more flexible, and eliminating the need to go repeatedly to specific locations. But, the question arises as to the effectiveness of these Apps. In today’s Research News article “Evaluation of an mHealth App (DeStressify) on University Students’ Mental Health: Pilot Trial.” (See summary below or view the full text of the study at: https://www.ncbi.nlm.nih.gov/pmc/articles/PMC5801522/ ), Lee and Jung recruited university students and randomly assigned them to either a wait-list condition or to work with a mindfulness app (DeStressify) for a month, 5 days per week for 3 to 20 minutes per day. They were measured before and after the training period for perceived stress, anxiety, depression, sleep quality, health-related quality of life, work productivity, and app use. They found that after mindfulness app training the students reported significant reductions in perceived stress, fatigue, and anxiety and significant increases in general health-related quality of life, energy, and productivity. A lack in the study was that mindfulness was not measured. So, it cannot be concluded that improvements in mindfulness produced by the App was responsible for the benefits. Nevertheless, these are interesting and potentially important results. They suggest that the use of a mindfulness app by university students can provide improvements in physical and mental health and productivity. This can be important for the students’ success in school by making them more energetic and healthy and with less emotional disruption. This is particularly important as the app does not require expensive staff time. It can be used at the busy students’ convenience in both location and time. And it is very easy and inexpensive to use and can be distributed widely. Given the mindfulness app can also improve the students’ well-being, it would seem ideal for use by college students. So, improve student mental health with a mindfulness App. One in five Canadians experience mental health issues with those in the age range of 15 to 24 years being most at risk of a mood disorder. University students have shown significantly higher rates of mental health problems than the general public. Current university support services are limited by factors such as available staff and finances, and social stigma has frequently been identified as an additional barrier that prevents students from accessing these resources. Mobile health (mHealth) apps are one form of alternative health support that is discrete and accessible to students, and although they are recognized as a promising alternative, there is limited research demonstrating their efficacy. The aim of this study was to evaluate a mindfulness-based app’s (“DeStressify”) efficacy on stress, anxiety, depressive symptomology, sleep behavior, work or class absenteeism, work or school productivity, and quality of life (QoL) among university students. Full-time undergraduate students at a Canadian university with smartphones and Internet access were recruited through in-class announcements and on-campus posters. Participants randomized into an experimental condition were given and instructed to use the DeStressify app 5 days a week for 4 weeks. Control condition participants were wait-listed. All participants completed pre- and postintervention Web-based surveys to self-assess stress, anxiety, depressive symptomatology, sleep quality, and health-related QoL. A total of 206 responses were collected at baseline, with 163 participants completing the study (86 control, 77 experimental). Using DeStressify was shown to reduce trait anxiety (P=.01) and improve general health (P=.001), energy (P=.01), and emotional well-being (P=.01) in university students, and more participants in the experimental condition believed their productivity improved between baseline and postintervention measurements than the number of participants expected to believe so randomly by chance (P=.01). The app did not significantly improve stress, state anxiety, physical and social functioning, and role limitations because of physical or emotional health problems or pain (P>.05). Mindfulness-based apps may provide an effective alternative support for university students’ mental health. Universities and other institutions may benefit from promoting the use of DeStressify or other mindfulness-based mHealth apps among students who are interested in methods of anxiety management or mindfulness-based self-driven health support. Future steps include examining DeStressify and similar mHealth apps over a longer period and in university staff and faculty. Arthritis is a chronic disease that most commonly affects the joints. There are over 100 different types of arthritis. Depending on the type of arthritis symptoms may include pain, stiffness, swelling, redness, and decreased range of motion. It affects an estimated 52.5 million adults in the United States. It is associated with aging as arthritis occurs in only 7% of adults ages 18–44, while 30% adults ages 45–64 are affected, and 50% of adults ages 65 or older. The pain, stiffness, and lack of mobility associate with arthritis produce fatigue and markedly reduce the quality of life of the sufferers. Arthritis can have very negative psychological effects diminishing the individual’s self-image and may lead to depression, isolation, and withdrawal from friends and social activities Arthritis reduces the individual’s ability to function at work and may require modifications of work activities which can lead to financial difficulties. It even affects the individual’s physical appearance. In addition, due to complications associated with rheumatoid arthritis, particularly cardiovascular disease, the lifespan for people with rheumatoid arthritis may be shortened by 10 years. It is obvious that there is a need for a safe and effective treatment to help rheumatoid arthritis sufferers cope with the disease and its consequences. Increasing exercise has been shown to increase flexibility and mobility but many form of exercise are difficult for the arthritis sufferer to engage in and many drop out. But all that may be needed is gentle movements of the joints. Qigong or Tai Chi training are designed to enhance and regulate the functional activities of the body through regulated breathing, mindful concentration, and gentle movements. They have been shown to have many physical and psychological benefits, especially for the elderly. Because They are not strenuous, involving slow gentle movements, and are safe, having no appreciable side effects, they are appropriate for an elderly population. So, it would seem that Qigong or Tai Chi practice would be well suited to treat arthritis in seniors. 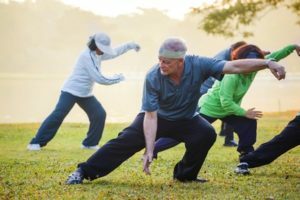 In today’s Research News article “Qigong Exercise and Arthritis.” (See summary below or view the full text of the study at: https://www.ncbi.nlm.nih.gov/pmc/articles/PMC5750595/ ), Marks reviewed and summarized the published research on the effectiveness of Qigong practice for the treatment of arthritis. 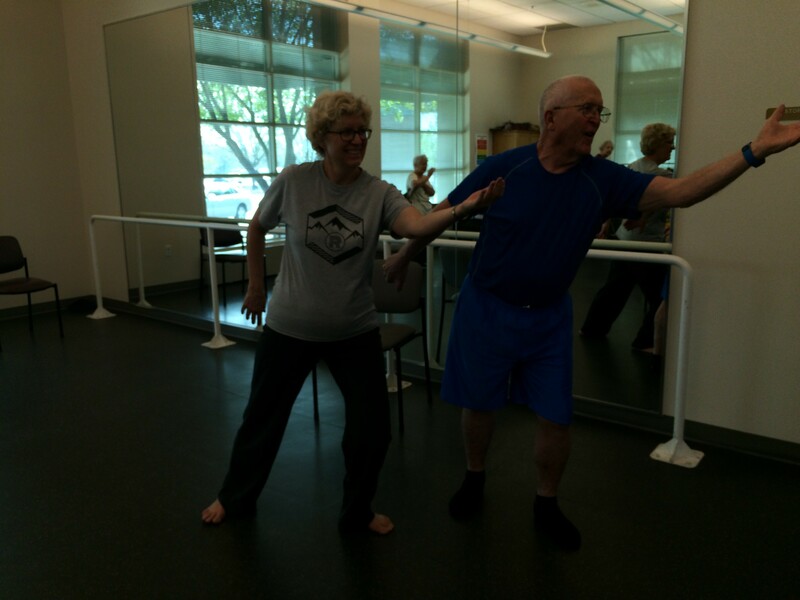 He found that Qigong practice produced significant improvements in the musculoskeletal system including increased strength, joint flexibility, posture, balance motor function, and motor coordination, and improvements in quality of life and cognitive function. In addition, the research reported decreased pain, fatigue, and blood pressure and improved immune function, metabolic function, circulation, aerobic capacity, and reduced falls, improved psychological health, mood, and sleep. These are impressive results. Scientific research suggests that Qigong practice produces widespread improvements in mental and physical health in arthritis sufferers. In addition, it is inexpensive, convenient, appropriate for individuals of all ages and health condition and is safe to practice, making it an almost ideal treatment for the symptoms of arthritis. So, improve arthritis with Qigong. Background: Arthritis is a chronic condition resulting in considerable disability, particularly in later life. Aims: The first aim of this review was to summarize and synthesize the research base concerning the use of Qigong exercises as a possible adjunctive strategy for promoting well-being among adults with arthritis. A second was to provide related intervention directives for health professionals working or who are likely to work with this population in the future. Methods: Material specifically focusing on examining the nature of Qigong for minimizing arthritis disability, pain and dependence and for improving life quality was sought. Results: Collectively, despite almost no attention to this topic, available data reveal that while more research is indicated, Qigong exercises—practiced widely in China for many centuries as an exercise form, mind-body and relaxation technique—may be very useful as an intervention strategy for adults with different forms of painful disabling arthritis. Conclusion: Health professionals working with people who have chronic arthritis can safely recommend these exercises to most adults with this condition with the expectation they will heighten the life quality of the individual, while reducing pain and depression in adults with this condition. Because of great advances in treatment, many women today are surviving breast cancer. 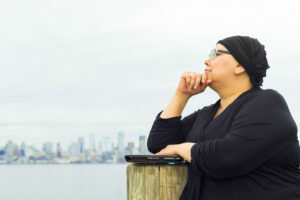 But, cancer survivors frequently suffer from anxiety, depression, mood disturbance, post-traumatic stress disorder (PTSD), sleep disturbance, fatigue, sexual dysfunction, loss of personal control, impaired quality of life, an alteration of their body image, and psychiatric symptoms which have been found to persist even ten years after remission. Also, breast cancer survivors can have to deal with a heightened fear of reoccurrence. This is particularly true with metastatic cancer. So, safe and effective treatments for the symptoms in breast cancer and the physical and psychological effects of the treatments are needed. Mindfulness training has been shown to help with general cancer recovery and breast cancer recovery. Yoga practice of has also been shown to be helpful with the residual symptoms, the psychological and physical ability to deal with cancer treatment and improves sleep in women with metastatic breast cancer. So, it’s reasonable to further explore the potential benefits of yoga practice to relieve fatigue and stress in women fighting metastatic breast cancer. In today’s Research News article “Effects of Yoga in Managing Fatigue in Breast Cancer Patients: A Randomized Controlled Trial.” See summary below or view the full text of the study at: https://www.ncbi.nlm.nih.gov/pmc/articles/PMC5545948/, Vadiraja and colleagues recruited women with advanced metastatic breast cancer. They received treatment as usual and were randomly assigned to receive either education and supportive counseling or an integrated yoga program for 12 weeks consisting of 60-min sessions twice a week combined with home practice of relaxation, breathing exercises, postures, and meditation. They were measured before and after treatment for perceived stress and fatigue. In comparison to baseline and the control group the yoga practice group had significant reductions in perceived stress and in fatigue, including severity, how often they felt fatigued, how much fatigue interfered with their everyday activities, and the difference between daytime and nighttime fatigue. It would have been better if the control group had performed some other form of exercise to determine if it was yoga practice per se or simply exercise was responsible for the results. In addition, since the integrated yoga program contained multiple components it is impossible to differentiate which or which combination of components was effective. Nevertheless, these are impressive and exciting results that integrated yoga practice can have such positive effects on women with advanced metastatic breast cancer. Mindfulness practices, including yoga practice, has been shown to reduce the physiological and psychological responses to stress and fatigue in other populations. It is particularly good that yoga has these effects in women with cancer where stress and fatigue exacerbate an already difficult situation. These effects may help to contribute to these women’s ability to fight off the cancer and improve their longevity. So, reduce fatigue with breast cancer with yoga. 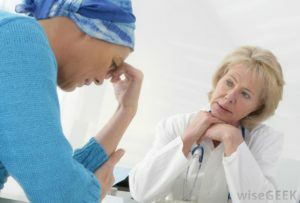 Cancer-related fatigue is widely prevalent in cancer patients and affects quality of life in advanced cancer patients. Fatigue is caused due to both psychologic distress and physiological sequel following cancer progression and its treatment. In this study, we evaluate the effects of yogic intervention in managing fatigue in metastatic breast cancer patients. Ninety-one patients with metastatic breast cancer were randomized to receive integrated yoga program (n = 46) or supportive therapy and education (n = 45) over a 3-month period. Assessments such as perceived stress, fatigue symptom inventory, diurnal salivary cortisol, and natural killer cell counts were carried out before and after intervention. Analysis was done using an intention-to-treat approach. Postmeasures for the above outcomes were assessed using ANCOVA with respective baseline measure as a covariate. The results suggest that yoga reduces perceived stress (P = 0.001), fatigue frequency (P < 0.001), fatigue severity (P < 0.001), interference (P < 0.001), and diurnal variation (P < 0.001) when compared to supportive therapy. There was a positive correlation of change in fatigue severity with 9 a.m. salivary cortisol levels. The results suggest that yoga reduces fatigue in advanced breast cancer patients. Chronic Fatigue Syndrome (CFS) occurs in about 0.2% of the population. It produces a profound, prolonged, and debilitating tiredness. When severe, it can produce a chronic and extreme tiredness, so severe that sufferers can become bed-bound or need to use a wheel-chair. It produces muscle pain, brain fog and dizziness, poor memory, disturbed sleep and trouble with digestion. But, deep fatigue can also be produced by a myriad of conditions including diseases and their treatment, including cancer, multiple sclerosis, rheumatoid arthritis, insomnia, and chronic obstructive pulmonary disease (COPD). Fatigue is also associated with aging. Fatigue is widespread. Some form of chronic fatigue has been reported by about 10% of the population. Unfortunately, there are no known cures. The usual treatments for fatigue are targeted at symptom relief and include exercise and drugs. Mindfulness has been shown to reduce fatigue due to a number of conditions. The mindfulness practice of Yoga is also includes exercise and it has been shown to be an effective treatment for the symptoms of Chronic Fatigue Syndrome / Myalgic encephalomyelitis (CFS/ME). Tai Chi is an ancient Chinese practice involving mindfulness and gentle movements. It is easy to learn, safe, and gentle. So, it may be more appropriate for patients who lack the energy to engage in more vigorous exercise, particularly those who are ill with other serious conditions. In today’s Research News article “Does Tai Chi relieve fatigue? A systematic review and meta-analysis of randomized controlled trials.” See summary below or view the full text of the study at: https://www.ncbi.nlm.nih.gov/pmc/articles/PMC5381792/ Xiang and colleagues review the published research literature on the effects of Tai Chi on patients with chronic fatigue and perform a meta-analysis. They found 10 published randomized controlled trials. They reported that Tai Chi practice produced a significant reduction in fatigue in the patients. They found that this was true for patients with cancer, multiple sclerosis, and age related fatigue. Fatigue was found to be significantly reduced when Tai Chi practice was conducted for both greater than and less than 3 months, for greater than and less than 60 minutes per practice, and for greater than and less than 5 times per week, although greater than 5 times per week was more effective. Tai Chi practice was also found to produce significant improvements in vitality, sleep, and depression. There were no adverse events reported in any of the studies. The published research strongly suggests that the practice of Tai Chi is an effective treatment for chronic fatigue, relieving fatigue and also improving vitality, sleep, and depression. This ancient gentle practice is completely safe, can be used with the elderly and sickly, is inexpensive to administer, can be performed in groups or alone, at home or in a facility or even public park, and can be quickly learned. In addition, it can also be practiced in social groups without professional supervision. This can make it fun, improving the likelihood of long-term engagement in the practice. Hence, Tai Chi would appear to be an excellent treatment for sickly individuals, including the elderly. So, relieve chronic fatigue with Tai Chi. Chronic Fatigue Syndrome (CFS) otherwise known as Myalgic encephalomyelitis (ME) occurs in about 0.2% of the population. It produces a profound, prolonged, and debilitating tiredness. Myalgic encephalomyelitis (ME) when severe can produce a chronic and extreme tiredness, so severe that sufferers can become bed-bound or need to use a wheel-chair. Myalgic encephalomyelitis (ME) also produces muscle pain, brain fog and dizziness, poor memory, disturbed sleep and trouble with digestion. All this may be combined with the kind of malaise that comes with a post-viral infection. Myalgic encephalomyelitis (ME) is thought to be caused by a combination of stress plus a virus or a toxin, shock, or poisoning. But the exact cause is not known. There is no known cure. Usual treatments for CFS/ME are targeted at symptom relief and include exercise and drugs. Mindfulness has been shown to reduce fatigue due to a number of conditions. Yoga is a mindfulness practice that also includes exercise. So, yoga practice may be an effective treatment for the symptoms of Chronic Fatigue Syndrome (CFS) / Myalgic encephalomyelitis (ME). Oka and colleagues recruited patients (26-61 years old) who were diagnosed with severe Myalgic encephalomyelitis (ME). In a previous study, a program of isometric yoga in a sitting position was successfully shown to reduce fatigue in ME patients. But, in severe conditions sitting yoga proved to be too difficult. So, they developed an isometric yoga program that could be practiced while lying down, recumbent. Isometric yoga involves static postures with contraction of muscles without movement. Yoga was practiced for 3 months every 2 to 4 weeks for 20 minutes when the patients came to the hospital. They were also encouraged to practice at home. Fatigue was measured before and after the last practice and before and after the 3-month practice period. They found that there was very good compliance with patients practicing at home on average of 6 days per week. There were no adverse events and patients reported high satisfaction with the program. Importantly, on the short-term, before and after the final yoga session there was a significant decrease in fatigue produced by the yoga session, nearly cutting it in half. So, the 20-minute practice appeared to energize the patients. On the long-term between before and after the 3-months of practice there was also a significant decrease in fatigue. Hence the program appeared to be well accepted, was energizing, and significantly improved the primary symptom of Myalgic encephalomyelitis (ME), fatigue. It should be mentioned that this pilot study did not have a control condition and as such conclusions must be tempered. The results, however, are sufficiently encouraging that a randomized controlled clinical trial is warranted. The trial should contain at least one other form of exercise to determine if the effects are specific to yoga or the results of any light exercise program. It should be noted that these patients could not tolerate even sitting yoga practice. So, it is particularly encouraging the a tolerable variation of isometric yoga practice was so beneficial. 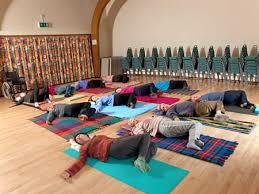 So, improve fatigue in severe chronic disease with yoga. Our previous randomized controlled trial demonstrated that isometric yoga in a sitting position reduces fatigue in patients with chronic fatigue syndrome/myalgic encephalomyelitis (CFS/ME). However, some patients experience difficulties sitting or practicing isometric yoga in a sitting position for long periods. To date, therapeutic interventions for patients with severe symptoms have not been established. Therefore, we developed a recumbent isometric yoga program, which takes approximately 20 min to complete, designed to reduce fatigue in patients with severe CFS/ME. The aim of this pilot study was to assess the feasibility, safety, and usefulness of this program. This pilot study included 12 adult patients with CFS/ME. Six patients were reluctant to practice isometric yoga in a sitting position because of the severity of their fatigue (group 1). The remaining six patients had previously practiced isometric yoga in a sitting position (group 2). 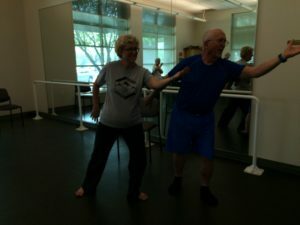 For 3 months, the patients of both groups practiced recumbent isometric yoga every 2 to 4 weeks with a yoga instructor and at home on other days if they could. The short-term effects of isometric yoga on fatigue were assessed using the Profile of Mood Status (POMS) questionnaire immediately before and after their final session with the yoga instructor. The long-term effects of isometric yoga on fatigue were assessed using the Chalder Fatigue Scale (FS) questionnaire before and after the intervention period. Adverse events, satisfaction with the program, and preference of yoga position (sitting or recumbent) were also recorded. All subjects completed the intervention. In both groups, the POMS fatigue score was significantly decreased after practicing the 20-min yoga program and the Chalder FS score was decreased significantly after the 3-month intervention period. There were no serious adverse events. All subjects in group 2 preferred the recumbent isometric yoga program over a sitting yoga program. This study suggests that recumbent isometric yoga is a feasible and acceptable treatment for patients with CFS/ME, even for patients who experience difficulty practicing isometric yoga in the sitting position. Brain damage is more or less permanent. The neurons and neural structures that are destroyed when the brain is damaged for the most part do not regrow. Brain Injury is caused by a number of different events from a violent blow to the head (Traumatic Brain Injury, TBI), to interruption of the blood supply to the brain (strokes), and to demyelinating diseases such as Multiple Sclerosis (MS). These neurological diseases are common and disabling. In the United States it is estimated that annually 1.7 million people sustain Traumatic Brain Injury, while 400,000 people are diagnosed with Multiple Sclerosis, and about 800,000 people have strokes. Regardless of the cause, the brain is damaged, and the tissues that are destroyed are permanently lost. But, we know that people can recover to some extent from brain injury. How is it possible that recovery can occur when there is no replacement of the damaged tissue? There appears to be a number of strategies that are employed by the brain to assist in recovery. Other areas of the brain can take over some of the function, other behavioral strategies can be employed to accomplish the task, and non-injured areas of the brain can adapt and change to compensate for the lost function. Rehabilitation usually involves strategies to promote these recovery mechanisms. Each of these neurologic diseases are accompanied by a profound fatigue. This disrupts rehabilitation as it makes it difficult for the patients to engage in the needed activities. In fact, the depth of fatigue is associated with lower levels of quality of life, everyday functioning, and life expectancy. So, it is important to find methods to reduce fatigue in patients with neurologic diseases. Mindfulness training has been found to be helpful in recover from Traumatic Brain Injury, Multiple Sclerosis, and stroke. It would seem likely then that mindfulness training reduces fatigue. Ulrichsen and colleagues review the published research literature on the effects on fatigue of mindfulness training on adult patients with neurologic diseases. In all of the studies 8-weeks of either Mindfulness-Based Stress Reduction (MBSR) or Mindfulness-Based Cognitive Therapy (MBCT) were employed as therapy. They found that mindfulness training significantly reduced fatigue with moderate effect size. These are encouraging results as fatigue plays such a crucial role in the disease and its reduction is needed for other rehabilitation activities to be effective. It isn’t clear exactly how mindfulness training reduces fatigue. It is possible that by improving present moment awareness, especially of the patient’s physical state, that worry and rumination that contribute to the feelings of fatigue may be lowered or that the improved attentional mechanisms allows the patients to perform well in spite of fatigue. Regardless, relieve fatigue accompanying neurologic disease with mindfulness.